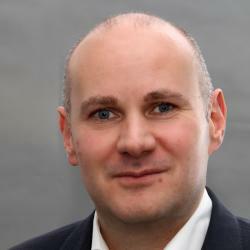 Oliver Falck is the Ifo Professor of Empirical Innovation Economics at LMU Munich, Germany, and Director of the Center for Industrial Organization and new Technologies at the Ifo Institute, Germany. He is also the Program Director of CESifo, the world’s second largest, Europe-based research network in economics. Oliver Falck received his Ph.D. in Economics from Technical University of Freiberg in 2006, and received his Habilitation from LMU in 2011 on innovation and regional economic development. He has extensive experience in applied innovation and entrepreneurship research and is co-editor of the best-selling Handbook of Research on Innovation and Entrepreneurship. Furthermore, he has published in leading international journals. He has extensively advised corporates and governments on innovation and growth strategies, and has been principal investigator on various studies for German federal ministries, the local government, foundations and companies for the last ten years.